Do Cell C “Noah” what they are doing? In a tide of social media activity – both offline and online, Cell C have become the most talked about cellular provider in South Africa. In a recent post I made on Ponder (an online marketing blog); I went in to great detail about how Cell C and Trevor Noah have bamboozled the general public and led us all to believe that “the tweet” and CEO (the real CEO) response was for real. Now think of the campaign what you want. Maybe it is social media genius to play the social media out like an offline campaign. Ticking all the boxes along the way with regards to media placements, creative cues. I personally feel that they are taking all of the “social” out of their campaign by staging all of the communication points along the way. What is the one thing that is sticking out more than the fact that Cell C have taken this (apparent) huge stance to correcting their network? 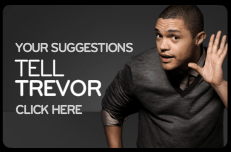 Well; its Trevor Noah! Trevor Noah, apart from his (I’m sure) immense salary from Cell C is getting exposure second-to-none out there. Not only from the adverts that are Cell C sponsored across billboard, online, tv and radio – but Trevor also now has his own TV show. (It might be the lamest thing out – but its a tv show!) He is giving interviews on radio; and they are not introducing him as “Cell C’s Trevor Noah”… No, he is just, “Trevor Noah, the comedian”. The Cell C campaign may tank beyond belief; but Trevor is not! Cell C might become synonymous with Trevor Noah; but he is certainly not becoming synonymous with Cell C.
I think that the true winner out of this is going to be Trevor and second to that, online marketers who are going to realise some of the pitfalls of social media.